In a time of unparalleled advancement in genetic research, many people have yet to access the benefits of genomic medicine. Genome Medical was created to change that, by ensuring the lifelong journey of genomic medicine becomes accessible to everyone. W e are a nationwide genomics medical practice bringing genetics to everyday life. Our clinical team provides expert genetic health care for individuals and families to improve health and well-being. We also help clinicians and patients navigate the rapidly expanding field of genetic testing and use test results to understand disease risk, speed diagnosis, make informed treatment decisions and lower the cost of care. Genome Medical was founded in 2016 by genetics industry leaders Lisa Alderson, MBA; Randy Scott, PhD, executive chairman of Invitae and founder of Genomic Health; and Robert C. Green, MD, MPH, a medical geneticist who directs the Genomes2People Research Program at Brigham and Women’s Hospital, is an associate member of the Broad Institute and is professor of medicine at Harvard Medical School. Genome Medical is privately funded. Its Series A funding was led by Canaan Partners with investors Flywheel Ventures, HealthInvest Equity Partners and Illumina Ventures. 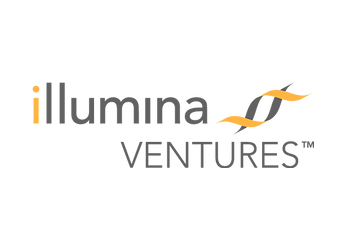 GE Ventures led the second round of funding, with new strategic investor Kaiser Permanente Ventures joining and additional investments from Canaan Partners and Illumina Ventures.